My July 26 post showed a view of my desk of me using our Gel Press and some of the samples that came about from the "play" time. I did make a card not long after using one of the samples. I used the Embroidered Rose stamp set from the Bundle to decorate the Whip Cream piece that I made on the Gel Press. I inked the Press with Rich Coral ink, stamped the clean stamp randomly to remove color then stamped with the ink to add the rose designs. This is all new to me so I'm not sure of the proper terminology for what I did. I adhered this background to my Rich Coral base. I flicked some Cranberry Bliss Silk but kept it to a minimum. 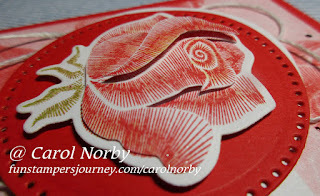 I stamped the rose on Whip Cream using Rich Coral and Limeade Splash inks then stamped it 2 more times with the Rich Coral ink and cut apart to make different layers. Here you can see my 3 layers. 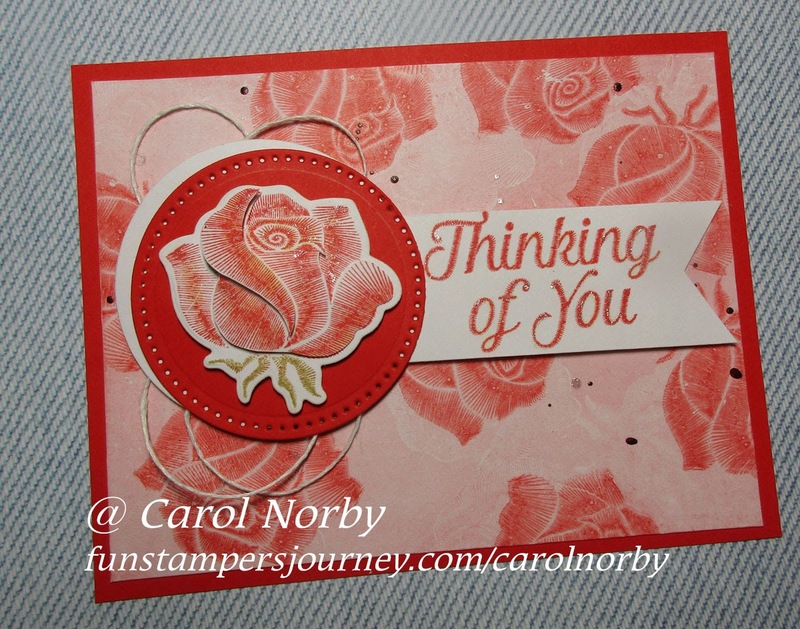 I used our Journey Circles die set to make the 2 circles, then adhered and Foam Squared the rose in the layers. I added a few loops of Whip Cream Thread before adhering the Circles for a nice effect. I stamped the text from the Embroidered Greetings set in Rich Coral ink on Whip Cream, banner cut and adhered in place with Foam Squares. If you look closely you can see where I "painted" Sparkle Silk on the Rose and text. I put a bit of the Silk on an acrylic block then used a Blending Brush to carefully apply the Silk on the letters and darker areas of the Rose. You did a great job describing the steps you took to make your very beautiful card. 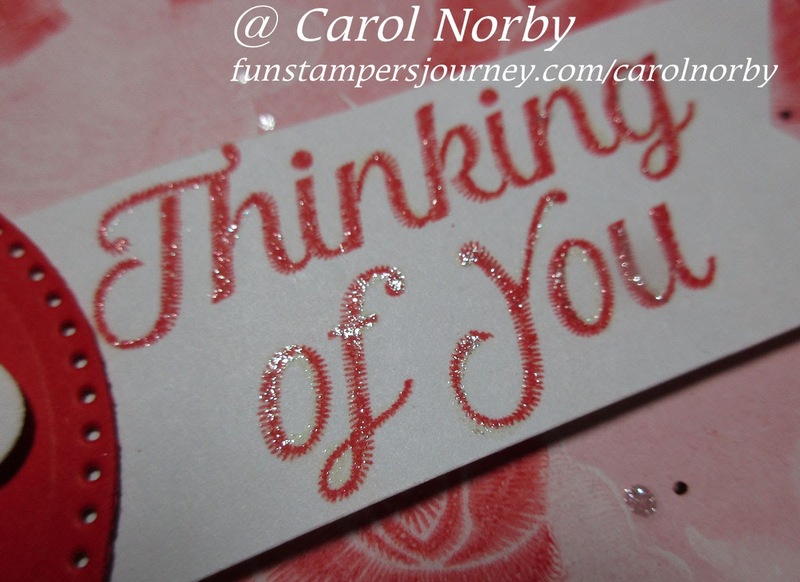 Carol, I am glad to see you are having fun with your gel press. 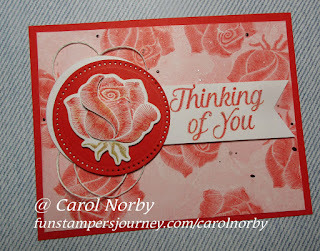 This is a beautiful card and I like the way you triple layered the rose.